Omelette – 3 eggs (one or two whole, the other whites only) , handful of spinach. Small handful of almonds and blueberries. Boiled egg with spinach, rocket, salad, blueberries. Poached egg on spinach, rocket, salad, blueberries. Eggs and bacon, with spinach, rocket, salad, blueberries. Last nights dinner is also an option here. – I’ve had dahl for breakfast!! The products are free range and the sausages gluten free. I usually get these from Sainsburys. Poached salmon fillets, with baby spinach, green beans, avacado – dressed with extra virgin olive oil. Dinner from the night before, add more salad and GREEN veg. Stir Fry- Any protein and veg such as asparagus, mushrooms, beans sprouts and spice it up. Any protein based curry with masala quinoa ..yum! Any protein based curry / stew with good clean veg…..p.s. broccoli curry is fab! Sausages and Brocolli, spinach, mushrooms, beetroot salad. N.B. I use Debbie & Andrews Harrogate sausages. They are wheat free, gluten free and dairy free. 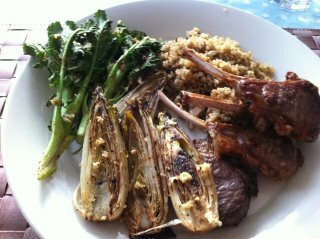 Chicory pan fried in coconut oil with grated ginger and garam masala and ground coriander….the rest of the plate….plain grilled lamb chops, masala quinuoa and pan fried brocolli stems. 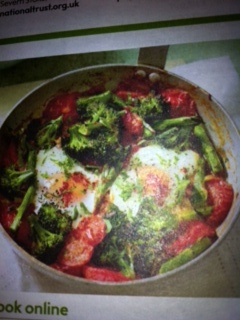 Saw this pic in the Waitrose paper, pan fry some cherry toms in coconut oil, stir in somebrocolli, then when its cooked, add the eggs, season with paprika. Fry some cumin seeds and onions in coconut oil, chuck in the quinoa, and add the water as you do when you cook it normally, then bung in a bit of salt, masalla, chopped ginger and some kenyan beauties (green chillies) – chopped, then cook as normal. its yum!!! Fry a couple of cloves of garlic in coconut oil, chuck in some fresh / tinned tomatoes, and season with salt and pepper, cook for about 5-7 minutes, take off the heat and throw in some fresh basil. Stir into pre-boiled quinoa….and bon apetit! Blitz a couple of cloves of garlic and few handfuls of basil and pinch of salt in a food processor, add a couple of tablespoons extra virgin olive oil and a handful of toasted pine nuts. Blitz again and finish off with a squeeze of lemon and twist of black pepper. Stir into pre-boiled quinoa and you have another flavour of quinoa! Add the following to pre-boiled quinoa. Chopped avocado, pre-cooked and chickpeas, shredded baby spinach, chopped coriander, chopped mint, chopped red onion, sprouted moong beans, sugar snap peas, cherry tomatoes, zest of 1 lemon, juice of 2 lemons, drizzle of extra virgin olive oil. Season to taste. Mix together 1-2 cups of quinoa and chopped onions, sage, egg with coconut oil. Make stuffing balls and stuff the turkey.Mix together 1-2 cups of quinoa chopped onions, mushrooms, chestnuts, egg and coconut oil.You can add minced pork to either of the above. Fry the onion and garlic in some coconut oil until soft and brown, add masala, ground coriander and dried crushed curry leaves. Leave to cool for about 5-10 mins. Mix the mince with the eggs, tomato puree, quinuoa, worcester sauce, green chillies, dried red chillies, salt and pepper. Add the fried onions to the meat mixture, place the mixture in a loaf tin, cover loosely with foil and cook in the oven for about 35-40 mins. Remove the foil for the last 10 mins, test if cooked with a skewer, ensure the juices run clear. Serve with baby spinach/steamed broccoli, green beans, mange tout, kale – whichever you prefer! Chop and fry 2-3 cloves of garlic in coconut oil. Add in chopped aubergine, salt and pepper and cook on a low eat until the aubergine is opaque in colour. Add 3 chopped tomatoes, and 2 chopped green chillies, let it cook for a further 10 minutes on a low – medium heat. Add 4-5 tablespoons of quinoa, stir and cook for a further 5 minutes. 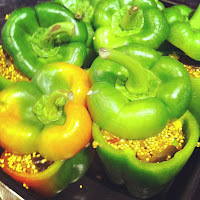 Cut off the tops of the peppers, remove the cores, and stuff with the aubergine quinoa mix. Place in a deep baking tray/roasting tray, add boiling water to the tray until it reaches the halfway mark. Cover with foil, and back for around 20 minutes on 180 degrees. Crush garlic, grate ginger, chop chilli, stir in honey, soy sauce, and sesame oil and season with salt and pepper. Pile up the broccoli on a biggish piece of foil. Scrunch up the foil around the broccoli and salmon like a parcel, place on baking sheet. Warm up the glaze add coriander and drizzle over salmon fillet. This recipe is so versatile, you can throw as many green veg as you want with the broccoli. Make cross incisions in the baby aubergines, leaving stalks intact. Rub the spice mixture into the aubergines, and fry in some oil in a wok/frying pan till the aubergines are cooked. Serve with quinuoa and baby spinach/steamed broccoli, green beans, mange tout, kale – whichever you prefer! Mix all the spices together with the coconut oil. Rub the spices into the cod loins. Pour the lemon juice over the fish. Wrap up the loins in a sheet of greaseproof paper, and fold closed, then place in a baking tray. Cook in the oven for around 20 minutes at 190C. Fry the onions and garlic in the coconut oil, until they are soft and golden. 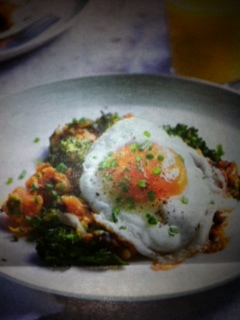 Whisk up the eggs in a separate bowl, stir in all the vegetables, chillies, ginger and coriander. Pour into the pan with the onions and garlic, cook until it sets, then finish off the cooking under the grill. Serve with steamed broccoli, green beans, mange tout, asparagus, kale – whichever you prefer! Same as the omelette, just scramble the eggs in the pan! Fry the garlic with the coconut oil in a wok, add in the salt, pepper, masala, ground coriander. Cook the spices until the aroma is released. Add the chicken/salmon/prawns/tofu and cook until almost done. Add all the vegetables, cover to steam cook them with the lid on. When all is cooked, turn off the heat, pour over the juice of the lemon and garnish with the fresh coriander. Pop everything in a blender or food processor. Blitz till smooth, adding a splash of water or more olive oil, if needed. Taste. Adjust seasoning. Spoon into a lidded pot. Gloss with oil. Cover and keep for 3-4 days in the fridge. Lightly brown the garlic in the coconut oil in a frying pan. Add the prawns, stir and cook until they turn pink. Add the cherry tomatoes, lemon rind and juice stir together and take off the heat. Season with salt and pepper and garnish with the coriander. Serve with plain cooked quinuoa. Lightly brown the cumin seeds and garlic in coconut oil in a wok. Add the brocolli, green beans, courgettes and beetroot, stir and cook for about 5 – 6 mins. Add the moong beans and lemon juice and rind. Cook uncovered for a few minutes to dry off any water. Turn off heat. Infuse the cumin seeds, cinnamon, cloves, cardamon pods in the coconut oil. When you smell the spices then add the garlic and onions and cook until they are soft and brown. Add the tomatoes and stir in ginger, chillies, salt and turmeric. Cook this sauce on a medium high heat until the oil starts separating from the tomatoes, stir often. Add the chickpeas, cook and stir a further 10mins on medium high heat. Add boiling water to generously cover the chickpeas. Bring to the boil and simmer for 20-30 mins, until they are a medium to thick consistency. Add the garam masalla, ground coriader and chopped coriander, stir in and remove from heat. This dish can be served with quinuoa, green veg, salad, any meat or fish …. its very versatile. Put the lentils in a medium to large saucepan, and fill with water, add the salt, and turmeric. Bring to the boil and stir the froth into the lentils, then simmer half covered on a medium heat until the lentils are cooked. Meanwhile in a smaller saucepan / frying pan. Add the tomatoes and stir in ginger, chillies. 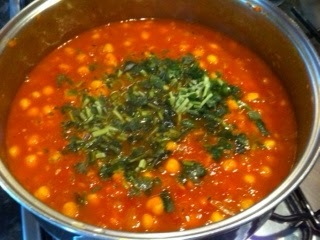 Check the lentils are cooked, then stir in the sauce, and simmer for 5 – 10 mins. Boil sweet potato for 8mins, then add brocolli for 2 mins. Drain. Fry the leeks for 3-4 mins, add the sweet potato and brocolli, season then flatten with a fork. Cook for about 5 mins on a medium heat, without stirring. It should be golden on the bottom. Spoon hash onto plates, then fry the eggs, place on hash, garnish with chives. Preheat oven to 220C fan, gas mark 7. Put the lemon quarters in a bowl with 1 tbspn oil and salt and pepper, toss everything together, tip onto baking tray and roast for 25 mins. Toss asparagus and salmon fillets in the remainder of oil. Remove tray from oven, turn the sweet potatoes and place salmon and asparagus in amongst the sweet potatoes. Cook in the oven for a further 10 minutes. Before serving, scatter over water cress and dill. Saute squash, onion, garlic and celery in a little healthy oil, a couple of minutes. Add your fav herbs spices. Today I had cumin, turmeric, chilli and ginger. Cook off for 5 mins. Add stock (I use kallo, organic veg one, gluten and lactose free; from sainsburys). Simmer until veg softened. Blend witha hand blender. hadnt thought of this at the time but would be nice with some coconut milk at the end. Carrot and fresh coriander particularly good with a tiny bit of coconut milk. Preheat oven to 190degrees. Put all the ingredients in a bowl. Mix well so it is all covered with salt and seasoning. Tip onto baking tray and roast for 15-20 mins. Check after 15. Toms and asparagus should be tender but not soggy. Cook artichokes in a large pan of salted boiling water til cooked, 13-15mins. The recipe sautes the spinach in butter and olive oil. I would probably steam or sauté in a little oil. Suggests you cook for 5 mins, stirring frequently, season and keep warm. Poach eggs in salted boiling water with vinegar. 3min for runny yolk, 5 min for fairly firm. To serve, place the artichoke on the bottom, fill with a quarter of the spinach, sit a warm poached egg on top and then top that with a slice of smoked salmon. Grind over pepper and sprinkle with salt flakes. Yum! Ingredients: Puy lentils, aubergine, spring onion, green beans, sun dried tomatoes, hazelnuts, salt & pepper. Cook Puy lentils in water with half a fresh lemon, couple of bay leaves & a few peppercorns. Cook until lentils have a slight bite (30 mins ‘ish!! ).Cut aubergine into chunks, swish around in olive oil, salt & pepper then roast until soft. Toast handful of hazelnuts in dry frying pan. Rub skins off when cooling down. Blanch green beans to soften. Chop spring onions and a few sun dried tomatoes. When everything is ready toss together. Add some oil from the sundried tomatoes (or olive oil), season to taste. Chop a butternut squash into chunks. In a bowl mix a tablespoon of olive oil (or whatever oil youre using), salt, pepper and chilli powder. Mix in the squash and coat with the oil. Put on baking tray and roast (approx 40mins at 200*). Handful of cherry tomatoes chopped in half. Green bell pepper roughly chopped. Handful of flat leaf parsley roughly chopped. Can of chickpeas (or equivalent soaked overnight & cooked until soft). Olive oil (or preferred oil) & a slug of white wine vinegar. Spread kale on baking tray. Season then bake in oven for 10 mins or until crunchy. Simply slice up the ingredients, place on the Nori sheet, roll it up and eat!! 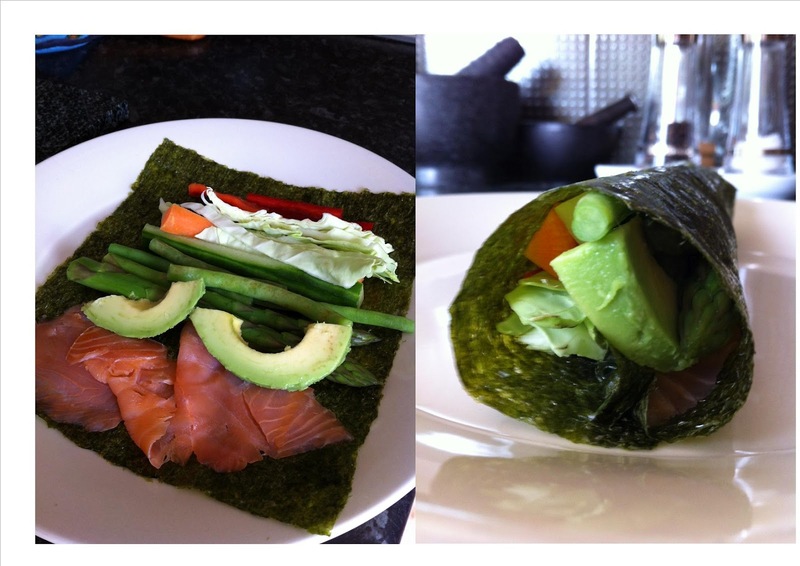 Smoked salmon is optional, making it a lovely veggie wrap. Mushrooms: button, chestnut, girlies, shitake, oyster, portabello and dried porcini. Any you can get hold of or take your fancy but mix them up for the strength of flavour and textures. At least one hour before you’re going to cook, put the porcini in a bowl and cover with boiling water to rehydrate them. Squeeze the water out of them and add to other mushrooms. Don’t throw away the water!!! Wash your selection of mushrooms and chop any big ones in half. Place on a baking tray and drizzle with olive oil, salt, pepper and chopped garlic. 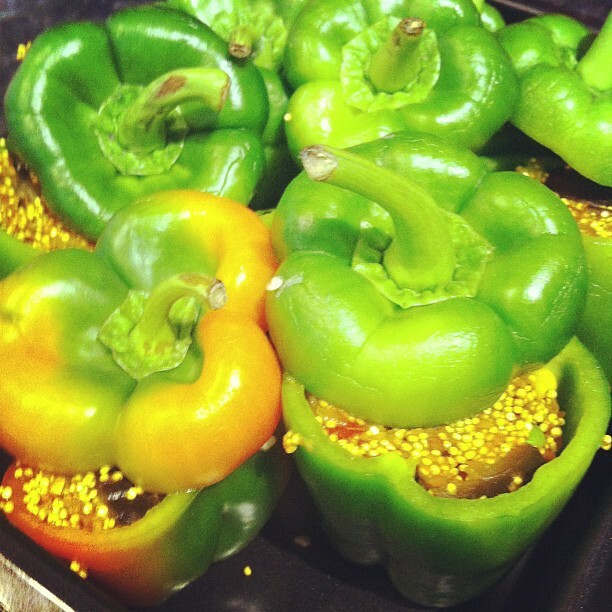 Roast in the oven until cooked (erm… maybe 20mins, keep looking at them. Sorry, I cook by instinct!). Peel and cut sweet potatoes into chunks and steam (or boil) until soft. Season and mash. No butter or oil as sweet tatties are moist and yummy as they are! In a dry pan toast a handful of sesame seeds (30 seconds’ish). Throw in a bag of baby spinach (if you use older spinach remove the central stalk as it’s tough), season with salt and pepper, mix through the seeds and let it wilt. With the saved mushroom water from the porcini, pour some (just a couple of glugs, don’t drown them) on the baking tray with the mushrooms to moisten them and make a jus (gravy to you and me!!). Add a handful of chopped flat leaf parsley a few minutes before you remove from the oven to serve. On a plate stack the spinach, then the sweet potato mash then the mushrooms. Using shop bought all butter ready rolled puff pastry, cook it in the oven on its own for about 10-15 mins. Meanwhile, stir fry 4-5 leeks and a handful of mushrooms in coconut oil, season with salt and pepper, leave to sweat for about 5-10 mins. Add in the roasted chicken (leftovers in this case), you could roast it fresh or just stir fry it in together with the veg. Cook for a further 10 mins, add 25mls coconut milk and let it reduce for about 5-10 mins. So a deconstructed chicken leek and mushroom pie is ready to eat!! Warm through the cayenne, cumin, ginger and garlic in the coconut oil. Add lentils and quinoa, cook and stir on medium to high heat until mixture is almost try, then add the stock, let it bubble for a few mins, then turn down the heat and simmer for around 15 minutes. Turn off the heat and cover the pan so the mixture continues cooking in the steam, for around 15 minutes. Slice, season and cook the chicken in another pan with some coconut oil, remove and set aside. Toast the nuts in the same pan for about 2 mins. Check the lentil and quinoa mixture, it should be fluffy. Stir in chopped coriander and chicken, add the lemon juice and zest. Sprinkle the nuts on top.